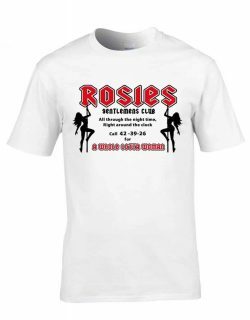 We use numerous cutting edge digital printing methods and design techniques to produce a high-quality print, our T-Shirts are of higher quality than those used by other vendors, this affects the price we pay a little but feedback has proven when it comes to durability, comfort and appearance they’re definitely worth it. Delivery is by 1st Class Royal Mail and usually takes 1-2 days within the UK. You can find full information about delivery including to different countries both inside the EU and worldwide on our shipping information here. Returns are not accepted for incorrect size/colour chosen, as the t-shirts are print to order we cannot give refunds for mistakes at checkout – please check the images and size guide to make sure you are happy with your order. If you have any more questions feel free to contact us – We’re also available on social media – Facebook & Twitter. We hold giveaways and competitions on occasion so keep an eye out!